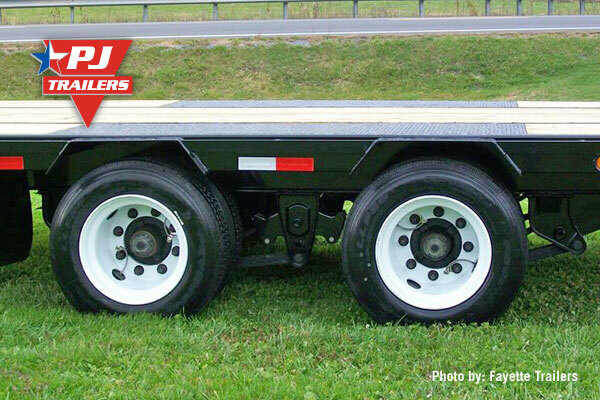 The Hutch 9700 suspension has become quite popular on heavy equipment and hot shot trailers. 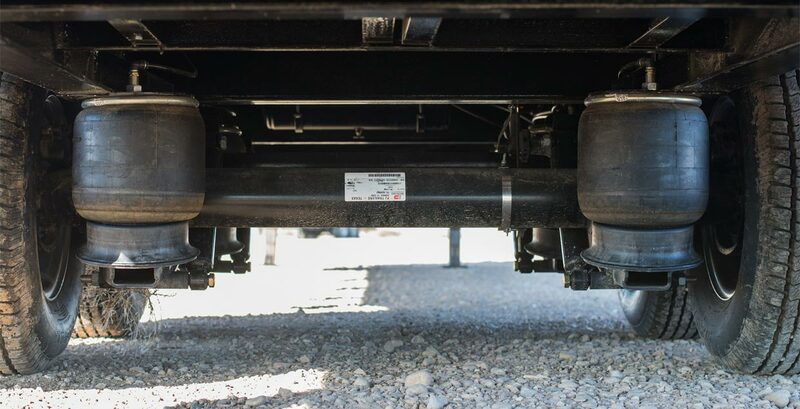 The Hutch suspension is more durable than your typical spring suspension offering torque arms allowing for adjustment, million mile bushings, and maintenance free hub fasteners. 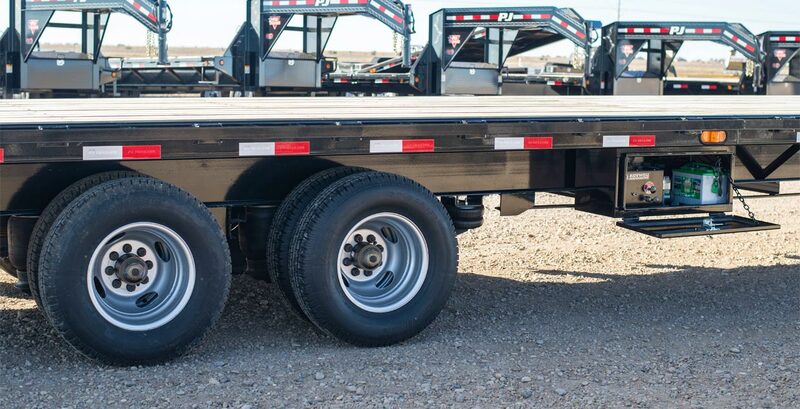 You can learn more about the Hutch 9700 Spring Suspension at the Official Hutch Website. 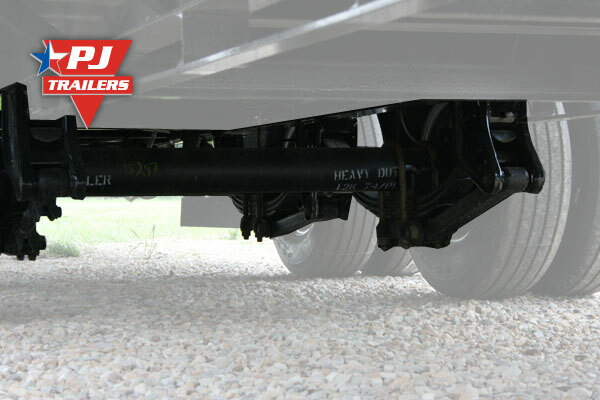 The Pro Maxx Gen 3 Air Suspension was developed by Ridewell Suspensions and PJ Trailers. 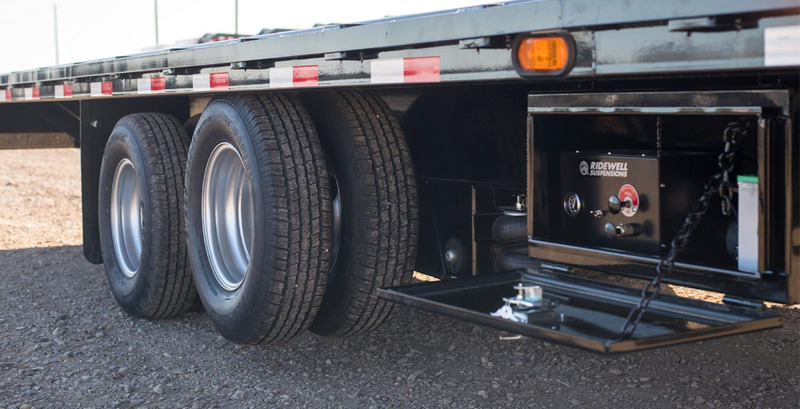 This suspension is the smoothest riding gooseneck air suspension on the market and is exclusive to PJ Trailers. 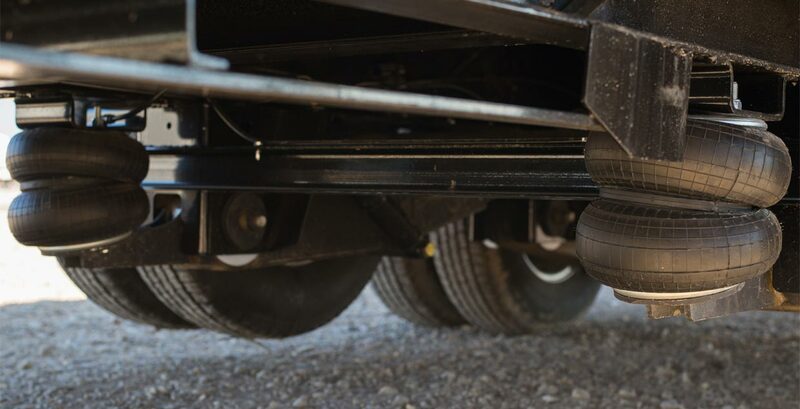 Expect greatly improved driver comfort and excellent cargo protection with the Pro Maxx Gen 3 suspension. 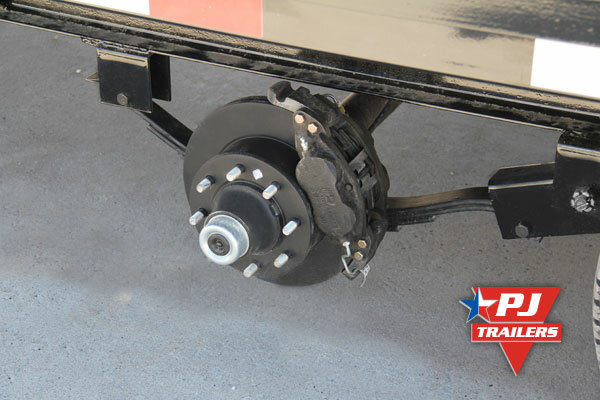 The Pro Maxx Gen 3 system also uses the highest quality premium components from major manufacturers. 110v Integrated Charger - Every Pro Maxx Gen 3 comes with an integrated battery charger. Simply plug in your extension cord to quickly recharge the battery. 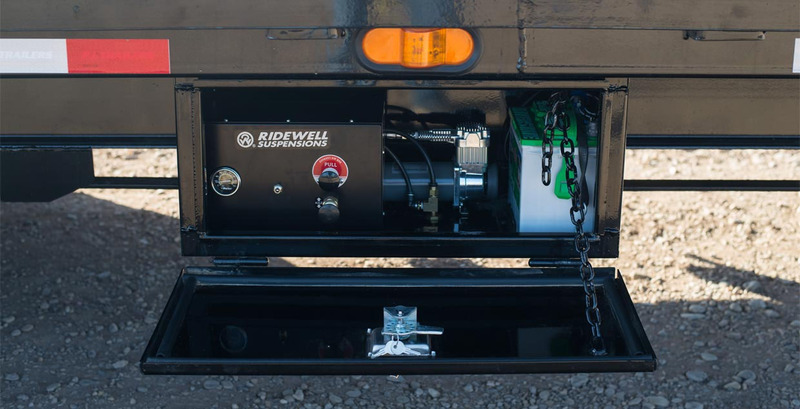 Tow Vehicle Charging - The tow vehicle trickle charges the deep cycle battery. Custom Control Panel - The Pro Maxx Gen 3 includes a custom control panel. 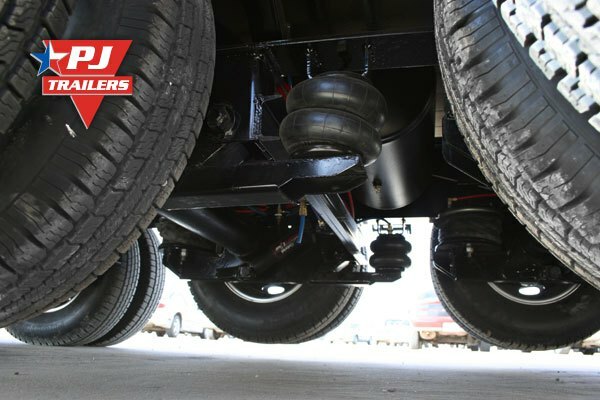 How easy is the air suspension to maintain? 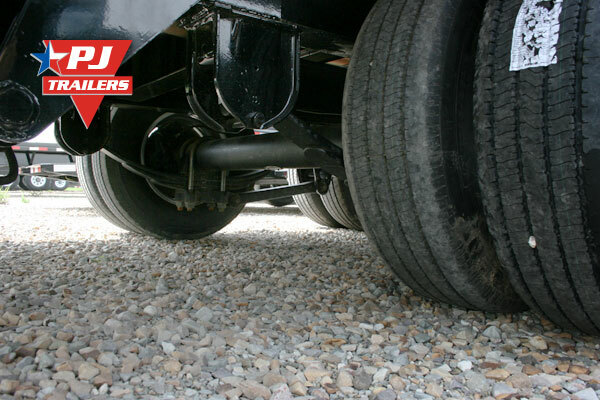 Our air suspension requires very little maintenance. We use the highest quality components like brass SMC fittings, Firestone bags, and Viair compressors. 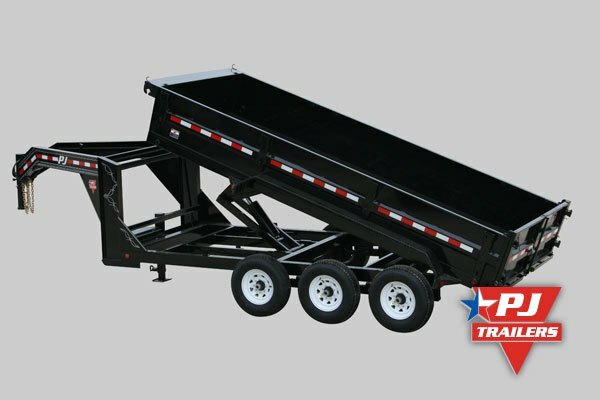 If you need to make a repair, many of the components are easily found at your local trailer repair facilities. 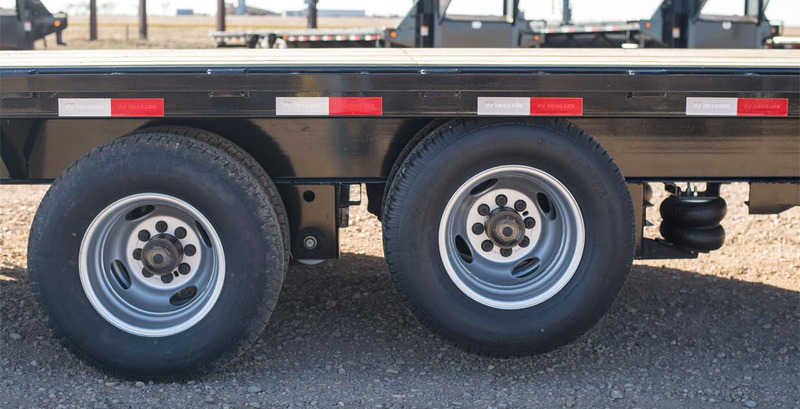 We are very excited to introduce a lift axle option for air suspension equipped trailers. 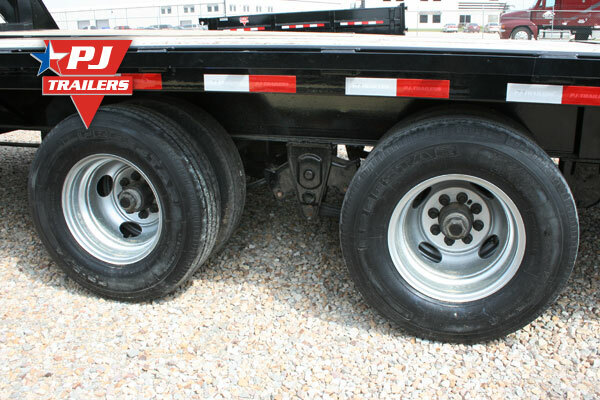 Most people are familiar with lift axles from their popularity in the semi-trailer industry.